Handmade in New York City, Nordea Soaperie is committed to taking the best of what nature has to offer, and putting it into a bar for your bathing pleasure! Soapmaking is about using specific ingredients to create a unique, handcrafted product. It's about finding the perfect balance. I consider myself a "soap artist" by using creative scent blends combined with beautiful soap design. Most of the soaps are approx. 5oz and will last longer when stored in a well-draining soap dish. 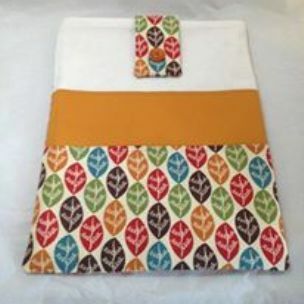 ipad sleeves are the perfect accessory to protect your ipad! They are meant to fit ipads with or w/out a hard cover/case. Do you have an ipad mini? I can make a cover for those too! Select your design, and send me your request. Make sure to visit my FB page to see all available designs for ipad sleeves . You can come see them in person, check out my schedule of upcoming events for more information.